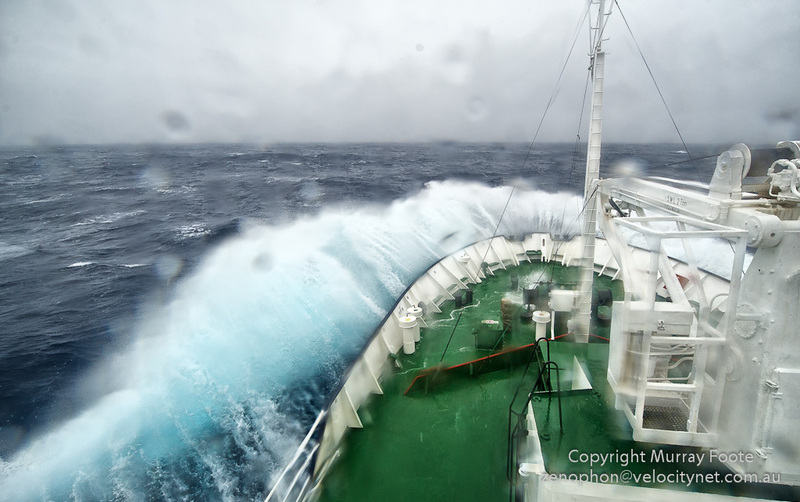 The Drake Passage got somewhat rougher as we got to the middle with water periodically breaking over the bow of the ship. Almost all the photographers became seasick, though I was fortunately amongst the few not afflicted. 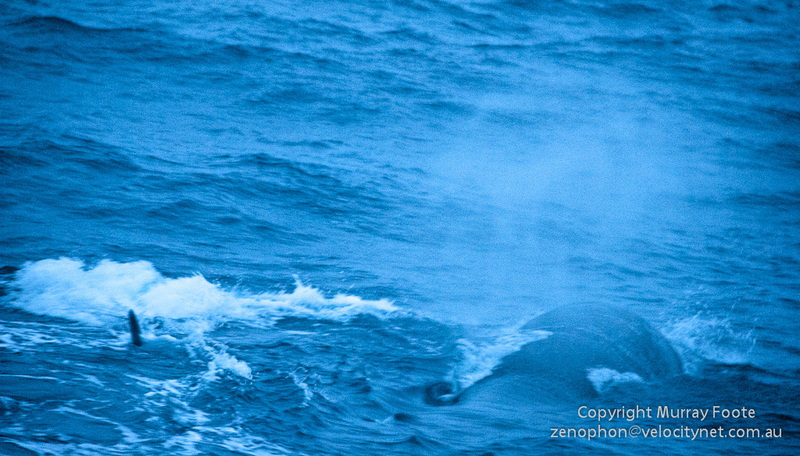 In mid afternoon it started to snow and there were also several whales in front of the ship in the early evening. However, low light and the distance did not make photographing them easy. We all piled into one of these for lifeboat drill. All very safe no doubt but not much fun in a real situation, wedged in like sardines, tossed around in a stormy sea and probably most people seasick. … Then later there was some snow. Two fin whales in Antarctic waters and less than 50km from King George Island. This is over an hour after sunset which is a problem for a photograph with a long telephoto. So not surprising it could be sharper but not bad for 600mm, 1/60th sec @ f5.6, deck of a moving ship. 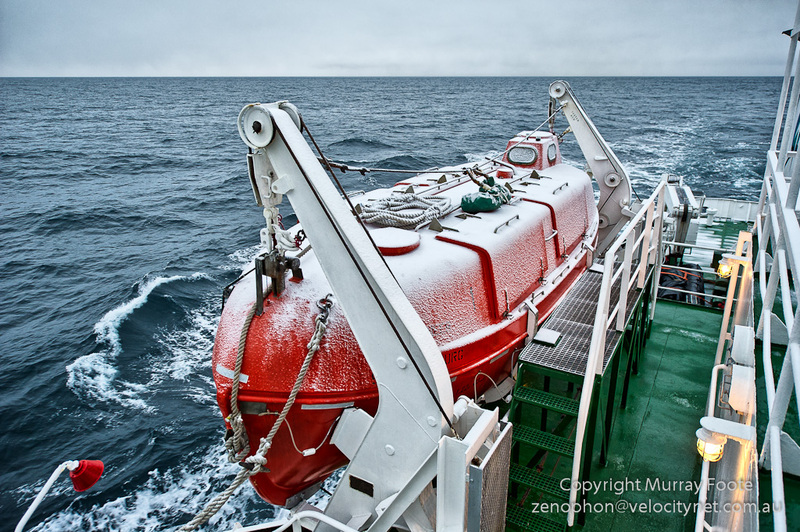 This entry was posted in Drake Passage and tagged Drake Passage, Fin Whailes, Photography, Travel, Whales. Hmmm. My wife is hoping I won’t be able to get photos like this. 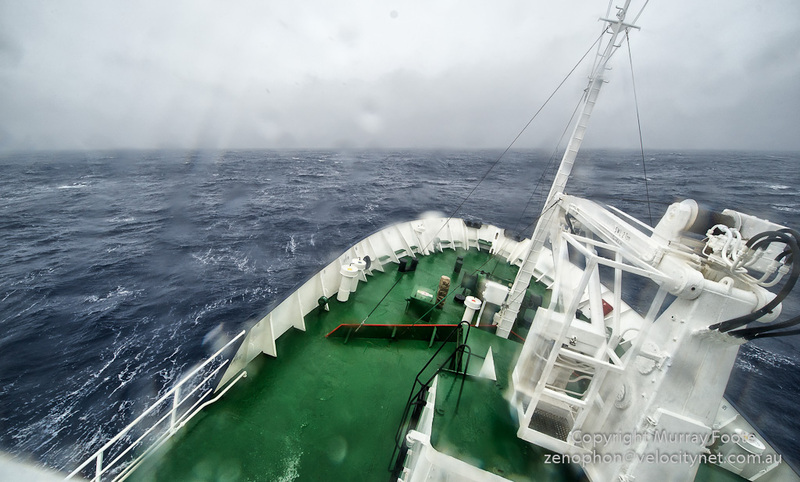 The sea was wilder on the way back, to the Falklands. 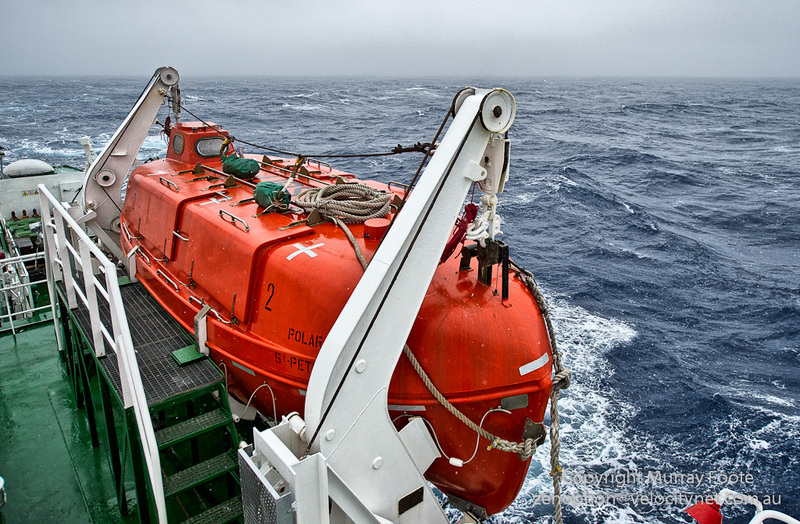 For example, this post https://murrayfoote.com/2011/04/15/30th-march-drake-passage/ and one a couple after. I thought it was fun but the other passengers generally didn’t agree. I think being out in the fresh air as much as possible helps. Also, get your doctor to advise on seasickness tablets. There was one kind that seemed to be counter productive (don’t remember the details). May be better to get a type that doesn’t make you too drowsy.